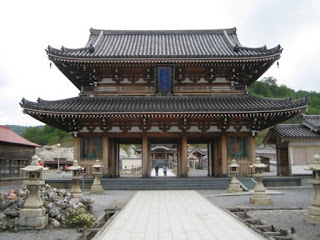 Osorezan is considered one of the three most sacred places in Japan. 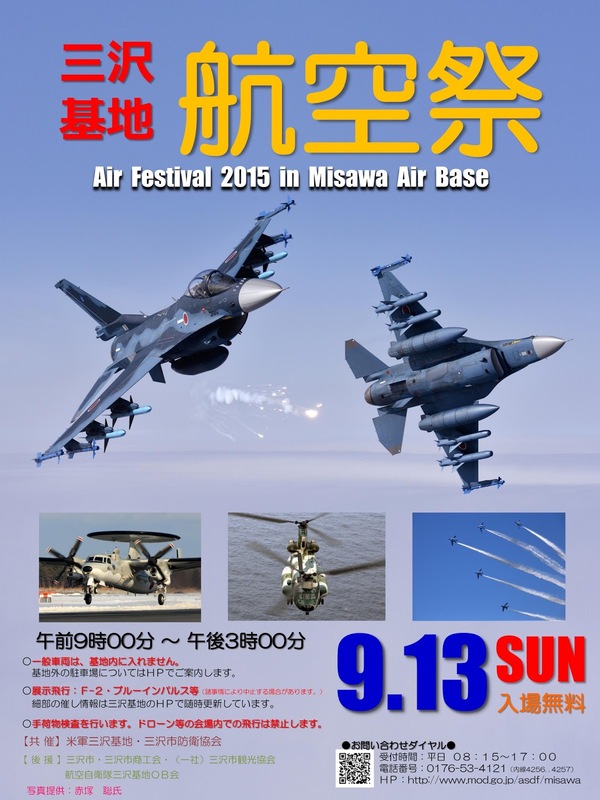 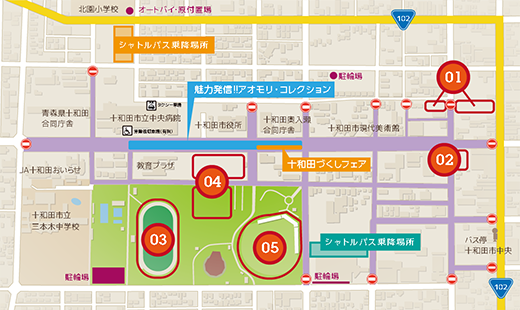 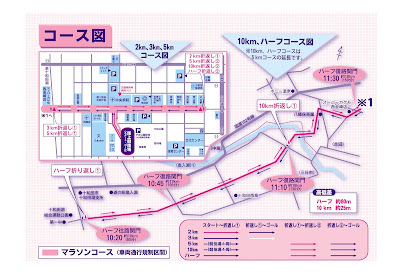 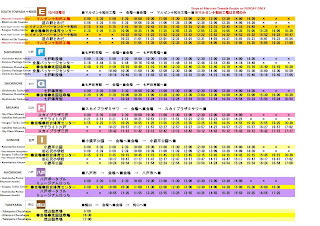 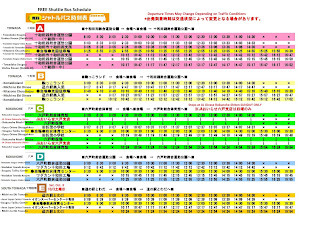 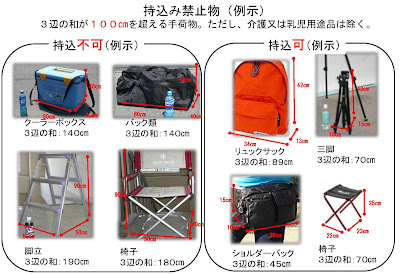 Shuttle buses will be running between the Base and the three parking lots (小河原湖畔駐車場、五川目駐車場、浜三沢駐車場) indicated on the map below. 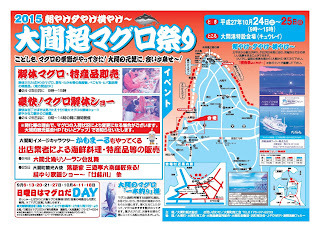 2015 Oma's "Sunday is Tuna Day"
Oma is renowned throughout Japan for its high quality and bluefin tuna. 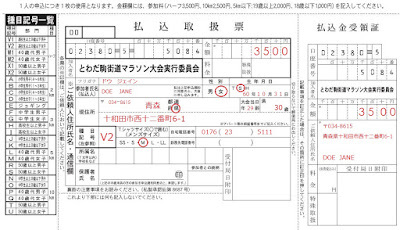 The world's most expensive tuna (sold in January 2013 at the Tsukuji Fish Market auction for 155.4 million yen, or about 1.8 million US dollars) came from Oma. 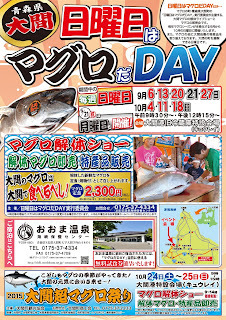 On Sundays throughout September and October in Oma, you can watch tuna carving demonstrations and also purchase a meal made with the freshly carved tuna. 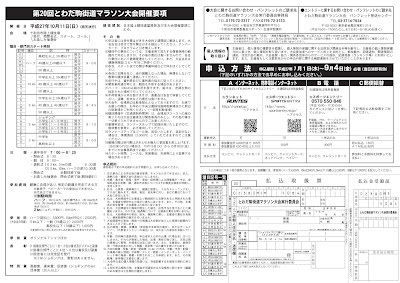 Guests who stay at the Oma Onsen the night before a "Sunday is Tuna Day" can receive a free tuna tasting voucher (無料試食券). 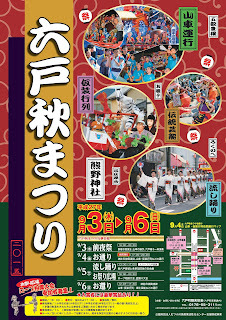 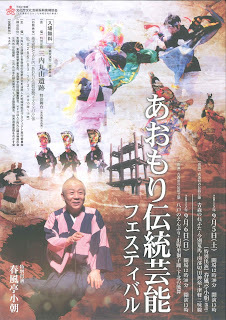 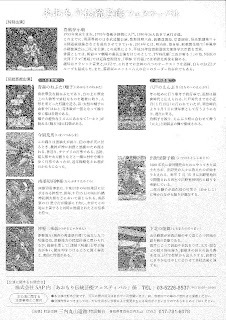 See the Oma Onsen homepage (http://cld1.worldcom.ne.jp/~omaonsen/, Japanese only) for more details. 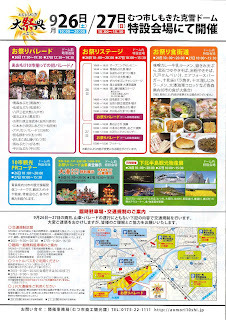 A festival showcasing major festivals and local foods/products, etc. 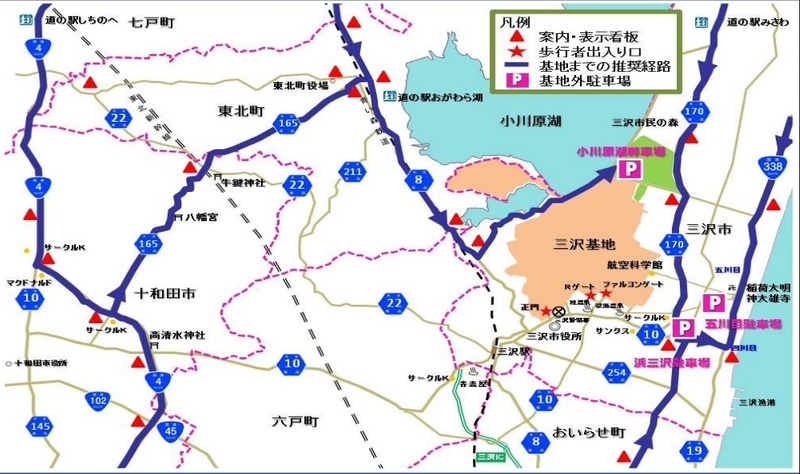 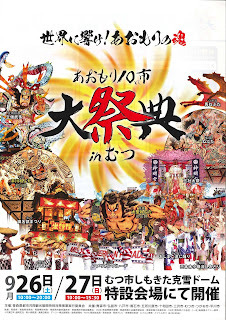 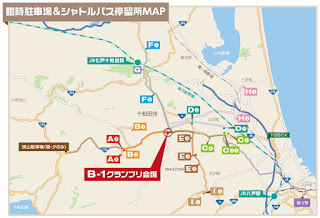 from 10 cities around Aomori Prefecture: Aomori City, Hirosaki City, Hachinohe City, Kuroishi City, Goshogawara City, Towada City, Misawa City, Mutsu City, Tsugaru City, and Hirakawa City. 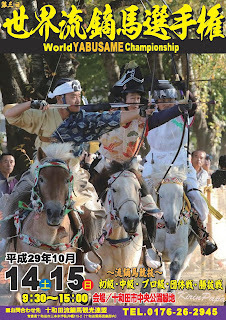 Rules: Contestants tie a rope around their waist and try to pull their opponent outside of the designated area; prizes will be awarded to the winners! 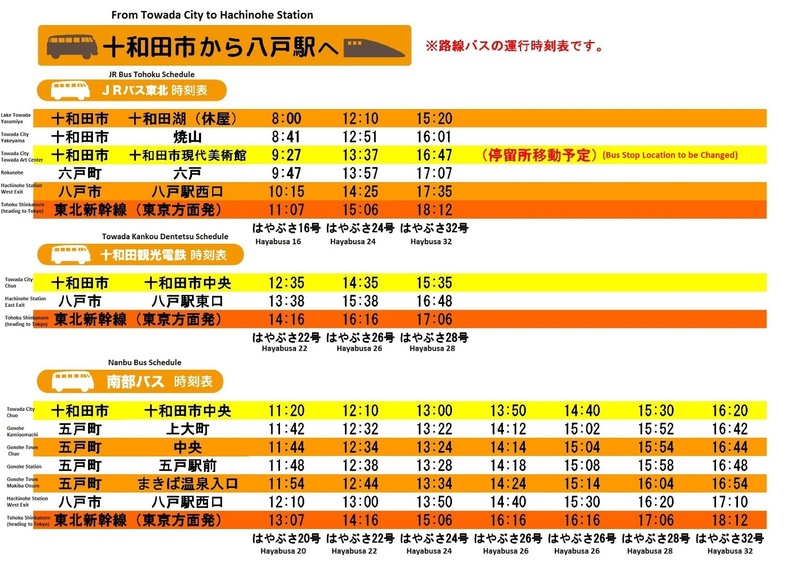 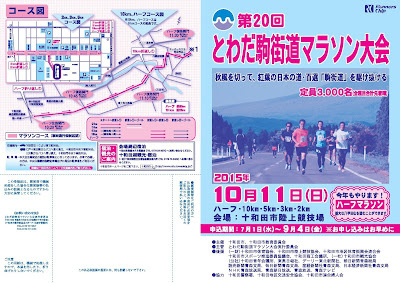 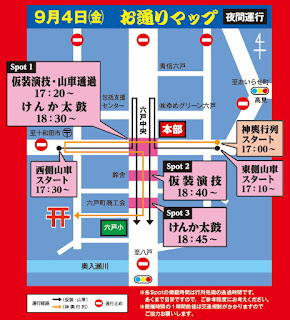 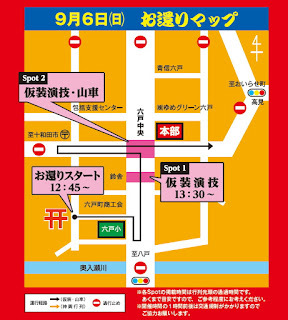 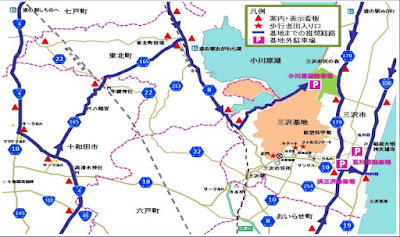 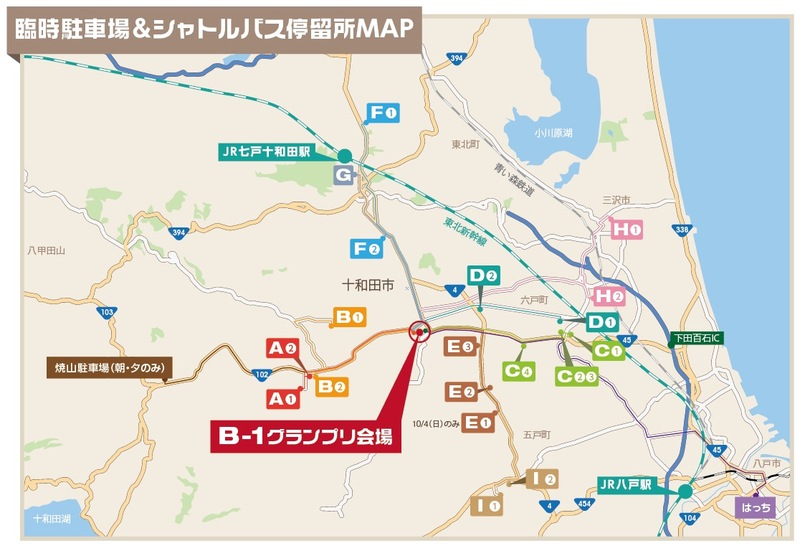 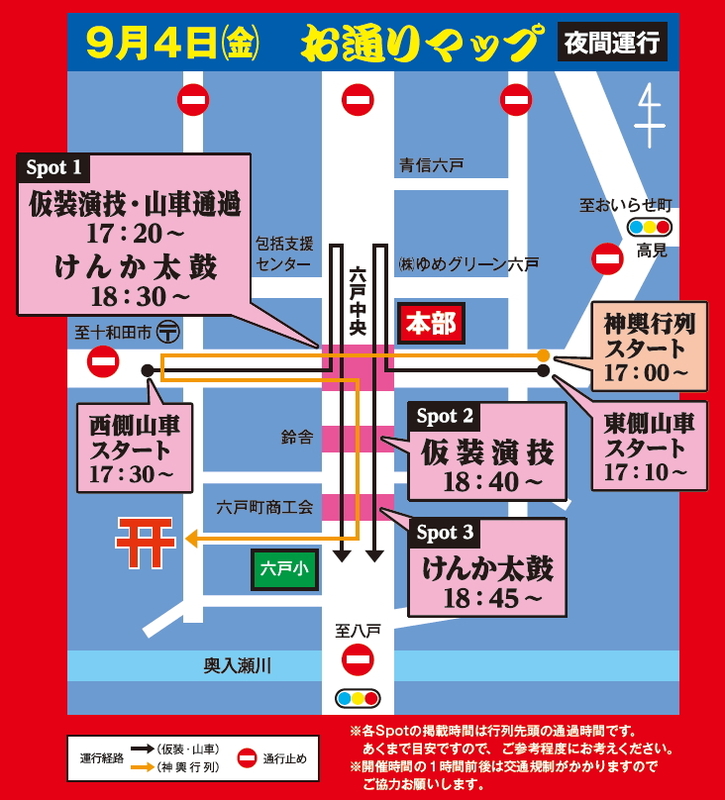 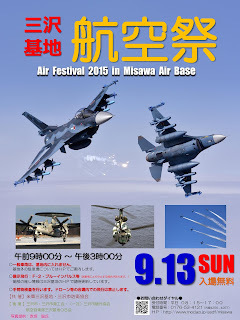 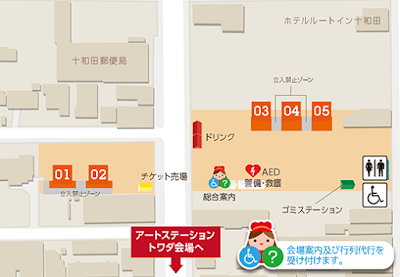 There is no dedicated event parking at the venue, so please make use of the free shuttle buses available to/from Hachinohe (Hachinohe Portal Museum Hacchi), Misawa (Sky Plaza), Shichinohe, Rokunohe, Gonohe, and the Towadako, Towadako Machi and south areas of Towada. Buses will run to and from the various sites every 30 minutes from 8:00-16:30. 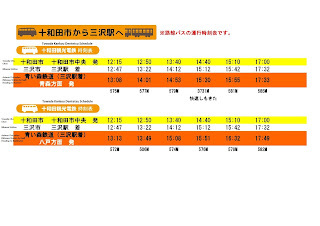 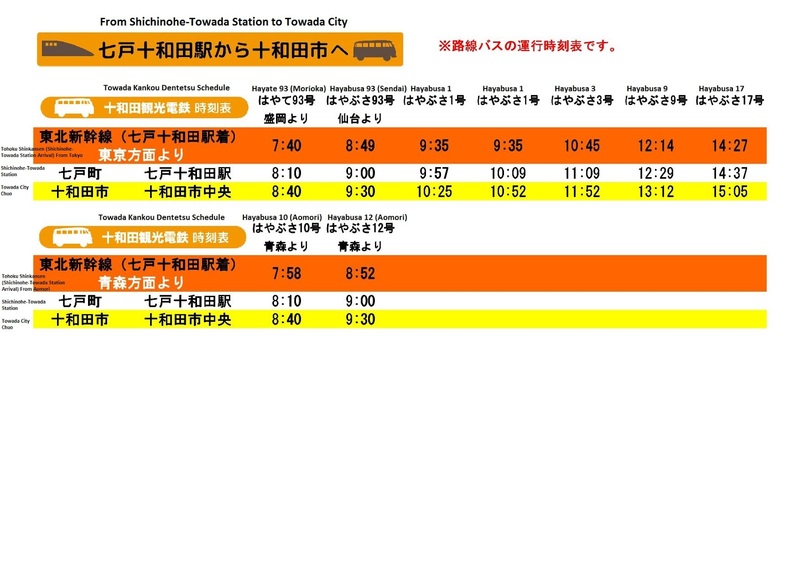 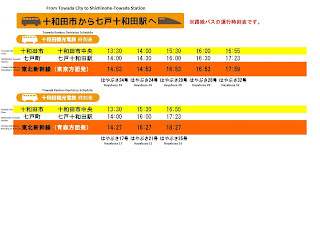 (*Cautions: The first shuttle bus from Hachinohe will be from 7:30 instead of 8:00. 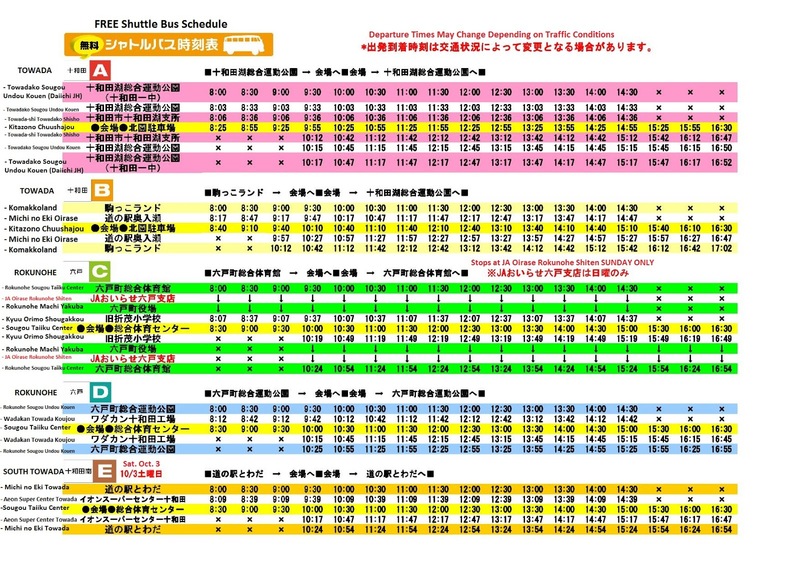 The Yakeyama location will only have one bus each way, departing Yakeyama at 8:00am and leaving from the Kitazono Parking Lot at 16:30.*). 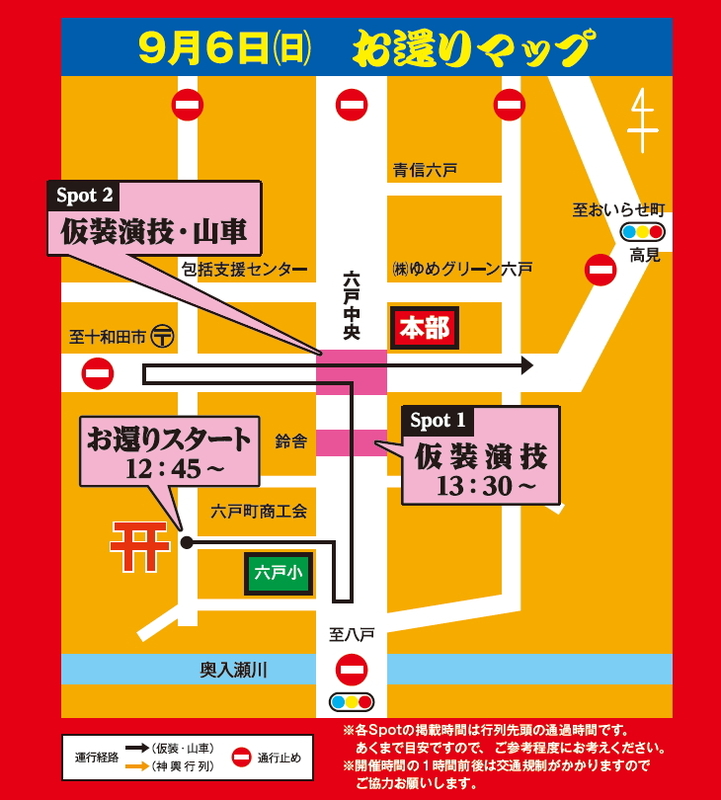 B-1 Staff will hand out bus boarding tickets at the various parking lots which will have the alphabet letter corresponding to the bus route printed on it. 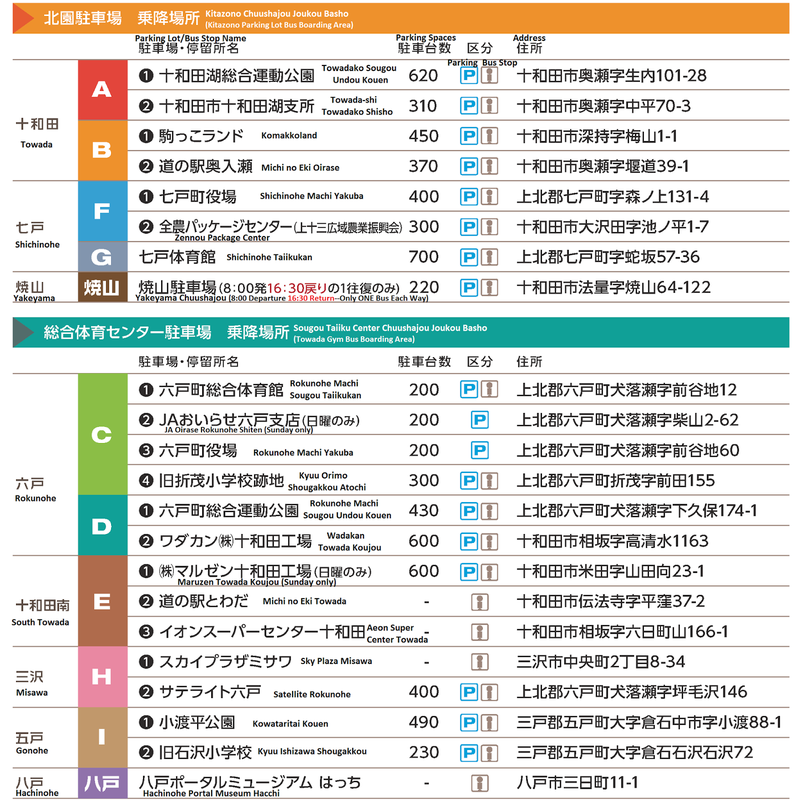 There are two bus drop-off and boarding areas, each serving different routes, so make to double-check your ticket at the boarding area for the return trip. 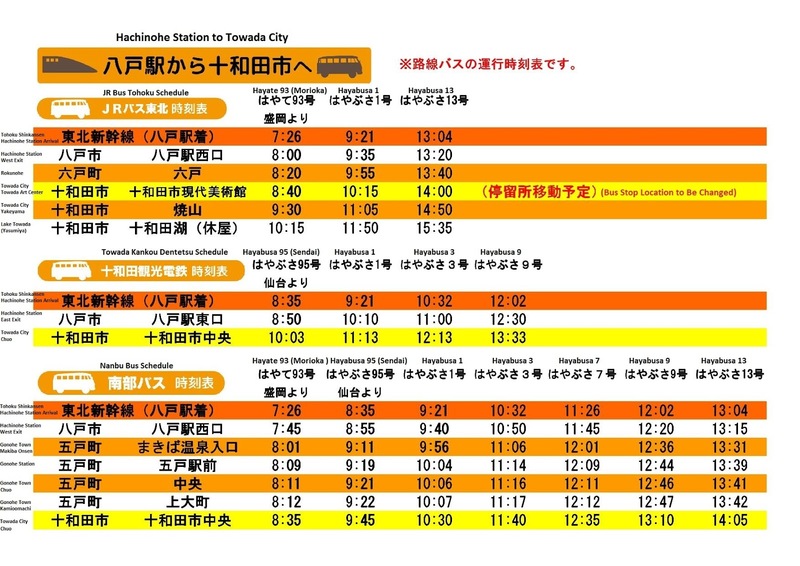 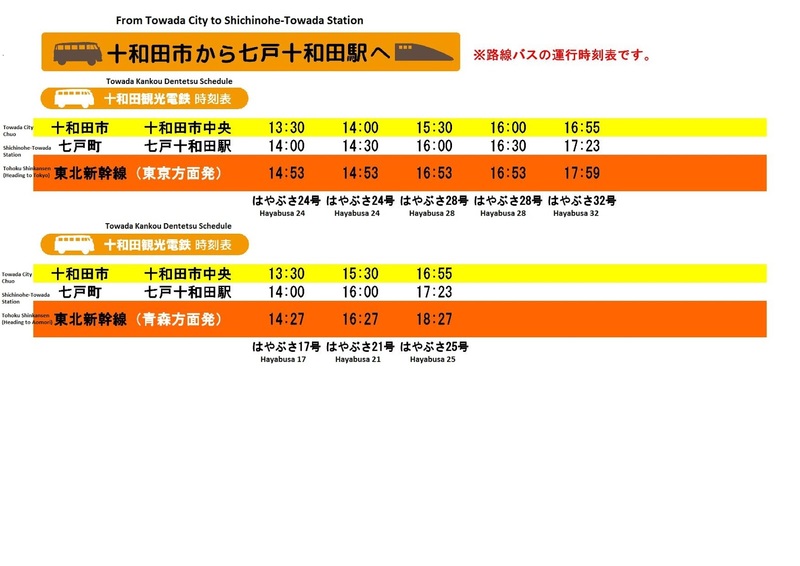 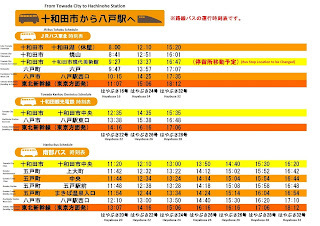 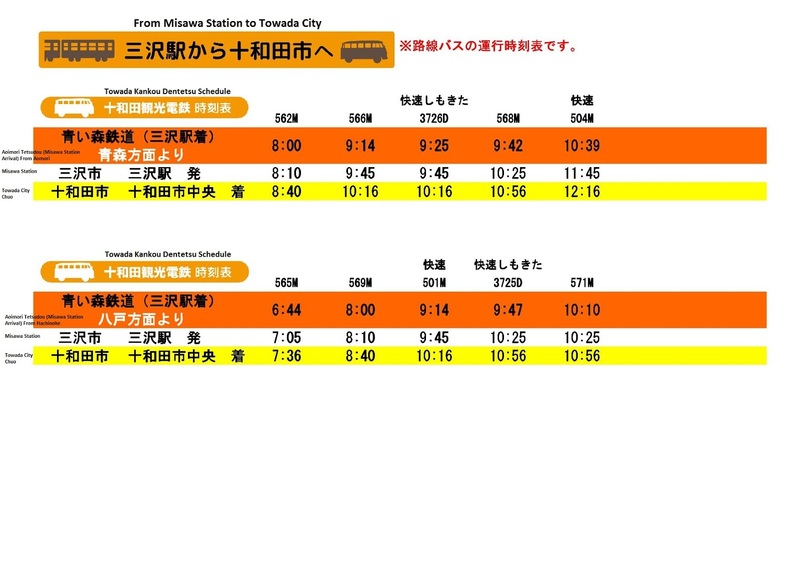 There are also regular buses (fare paid: JR Bus, Towada Kankou Dentetsu, and Nanbu Bus) running between to/from Towada from Hachinohe, Shichinohe-Towada, and Misawa Stations. 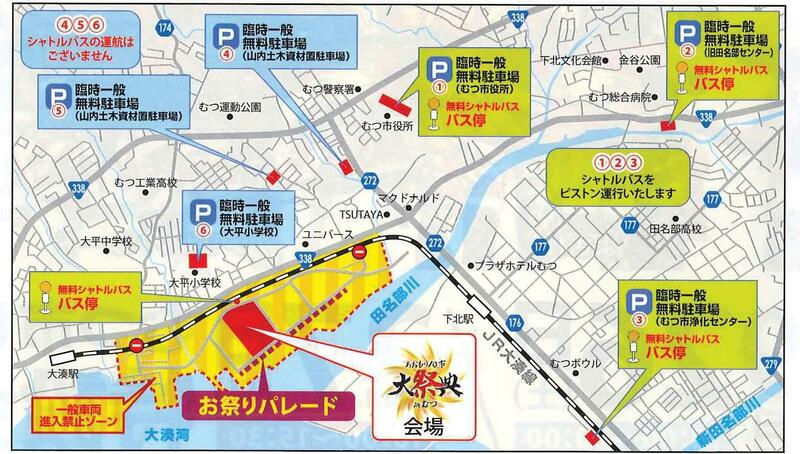 Day of tickets are available for purchase at the various venues (yellow tents). 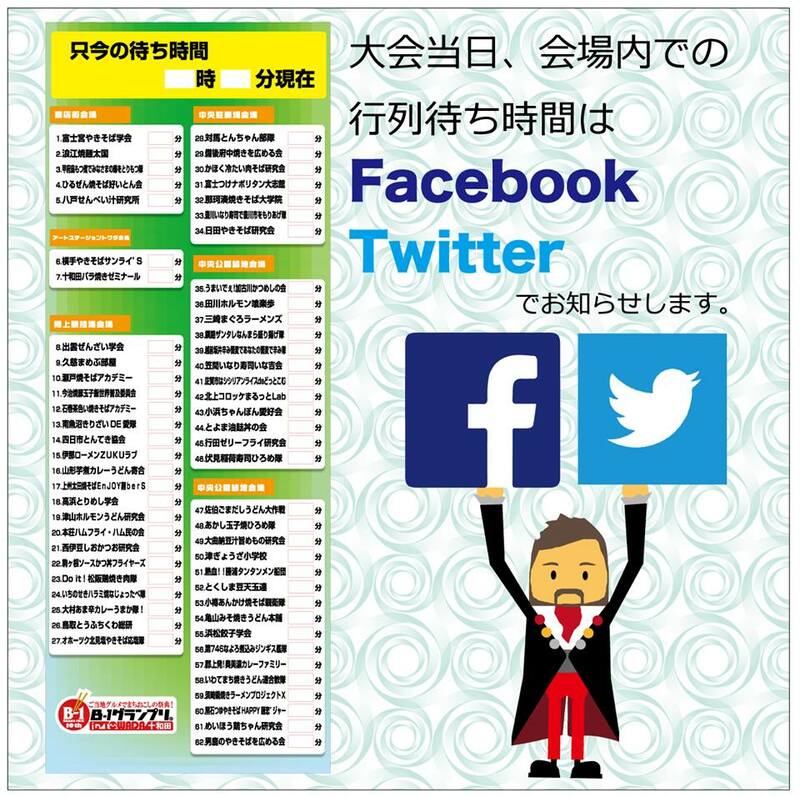 Put your chopstick(s) into the ballot box of the group you liked best--consider the personality/performance of the group as well as the actual taste of the food. 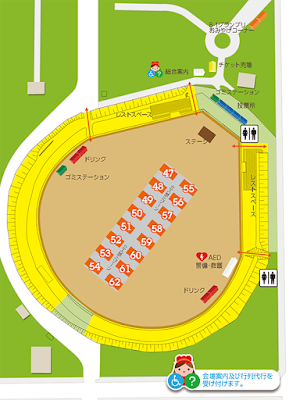 Ballot boxes are located under the blue & white tents at the various venues. 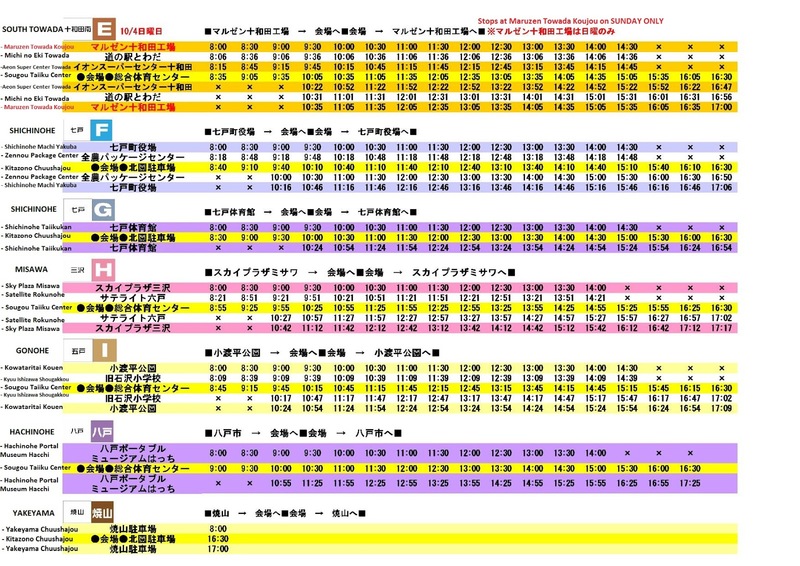 You cannot vote for guest groups (past winners). 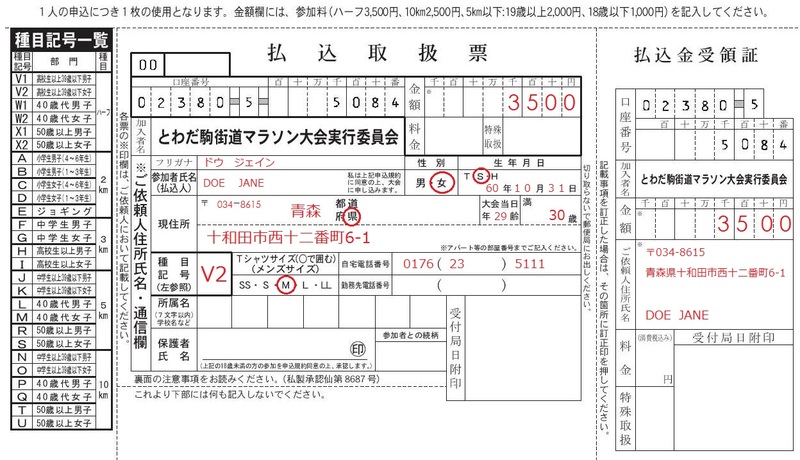 Only brown chopsticks can be used to vote. 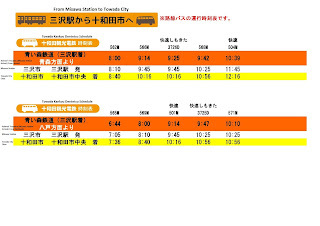 White chopsticks (from guest groups) cannot be used. 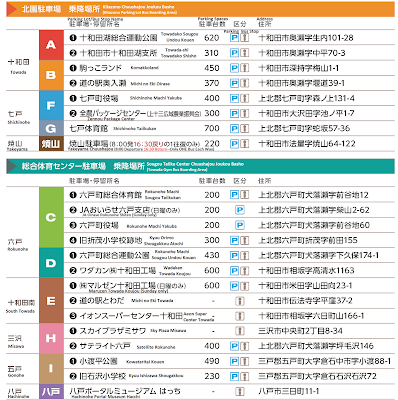 Even if you buy from more than one stand, please only use one set of chopsticks per day to vote. Each individual chopstick can be used to vote separately, i.e. 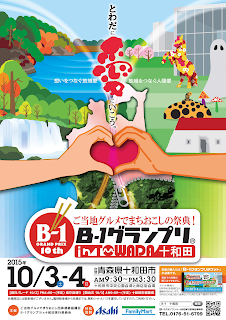 you can vote for two different groups with one chopstick each or give the pair of chopsticks to a single group. 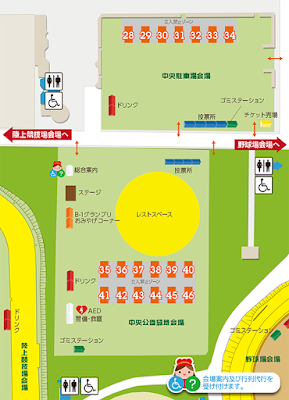 Please make use of the designated areas (green tents) at each venue to dispose of garbage. 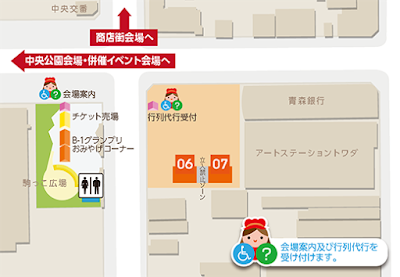 A "breastfeeding car" (授乳カー) is available for breastfeeding and diaper changing at the Track & Field Track venue and the north side of the Chuo Park venue. Please refrain from smoking in areas other than the designated smoking areas (喫煙場所). 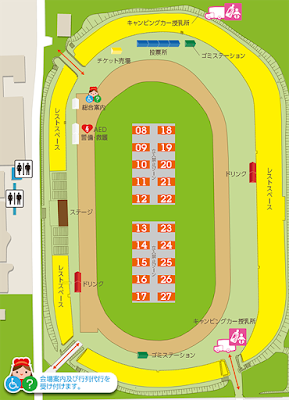 If you have any questions/concerns during the event, please go to the white general information tents (総合案内).